Tiger Woods after sinking the winning putt at the 2019 Masters. In this installment of the #AskAlan mailbag, GOLF senior writer Alan Shipnuck fields our your burning Masters questions and looks down the road to see if the future holds a Grand Slam for Tiger Woods. He might as well. If he drives it at Bethpage the way he did at Augusta National, Woods will surely be in contention. With his guile and the crowd on his side, Tiger could easily bring it home. Then he goes to Pebble, which like Augusta National is a quintessential second-shot course. Tiger was first in strokes gained approach-the-green at the Masters; if he strikes it like that at Pebble he will surely be in contention. If Woods were to somehow win both the PGA and U.S. Open is there any possible way he could be denied at Portrush? It’s absurd to even be entertaining these notions but Tiger just proved, yet again, he is not of this earth. Might as well let our collective imagination run wild. This will always be one of golf’s most tantalizing questions: what might Tiger have accomplished if he didn’t waste a decade of his prime because of scandal and injuries that may be directly related to killhouse cosplay and vanity-induced overtraining? No doubt he would have smashed Nicklaus’s record by now. But think how differently we would feel about Tiger if he had simply continued being the golfing automaton of the 1997-2009 epoch. He’d be a more accomplished golfer, yes, but a far less interesting and sympathetic human being. The old Tiger – emotionless and seemingly infallible – was revered but never loved. The explosion of emotion that accompanied this Masters win (by the man himself and everyone else) was not because Woods won the Masters. It’s because he’s been to hell and back (a couple of times!) and we were all part of the journey. Without the self-sabotage there wouldn’t be the redemption, which in the end is a better story than a few extra trophies. Not sure ‘best’ captures it, exactly. It is certainly the most fraught, nerve-jangling and exacting. It’s amazing how many Masters dreams can be found at the bottom of that creek. Sure, they hide all the extra chins! It’s *still* a tall mountain to climb. I was interested in Tiger talking in the champion’s press conference about how sore he was going to be the next day, since he had spent the back-nine swinging with abandon. This remains the biggest question how long will Tiger’s body let him play at this level? If the answer is five years, Jack’s record is certainly in jeopardy. It’s also worth noting that on Sunday, Woods putted like a 43 year-old who has been saddled all season with mediocre putting stats. The longest putt he made all day was eight feet, and that was on the third hole; his birdies on the back-nine were two-putts on the par-5s and a kick-in on 16. If Woods is going to win a handful more majors he’s going to have to rediscover some of his old magic on the greens. No, but he is diminished. It would have been sooo on-brand if Koepka had ruined this Masters by winning it. As bad as the water-ball at 12 was, those shortish birdie putts at 17 and 18 never scared the hole. Things get a lot more interesting if Koepka makes either one, but he shrank from the moment. I still think it’s Cink because we all knew Watson would never again have another opportunity like that. This Masters marks three straight major championships at which Tiger coulda/should won. Win or lose on Sunday, it’s increasingly obvious he is going to be a consistent force at the game’s biggest events as long as his body doesn’t betray him. That was delicious. So many golf fans loosed a violent guffaw at that moment I’m surprised it didn’t register on the Richter scale. All of them, plus the thousands of other corporations that could have bought a piece of Tiger at a firesale price. But loyalty is a rare commodity in corporate America, so Nike deserves to benefit wildly from its decision to stick with Tiger all along. Webb. Schauffele and Cantlay could both get the star-is-born treatment; the former is a very likable kid and the latter has a moving personal story. Webb is Webb – nice guy, good player, minimal buzz. If he had stolen this Masters we’d have to elevate him to a great player, but I’m still not sure what the second paragraph is. I was a guest on a podcast today and, without having seen this question, brought up this very same drive, which I said was the best swing I’ve seen Tiger make in at least a decade. 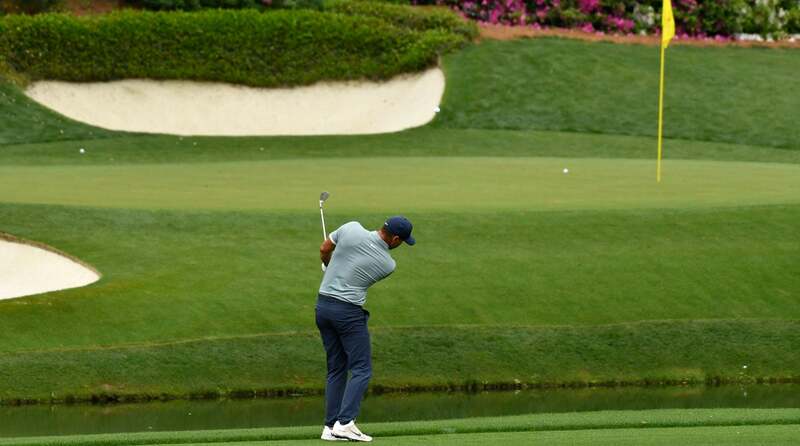 That tee shot on 17 is so awkward, but even with the Masters hanging in the balance he made a gorgeous, smooth, confident, controlled swing. If he is going to drive it like that in crunch time, everyone else on Tour should be very, very concerned. ‘Tis an interesting question. Or what if the final round was played with traditional twosomes instead of as a three-ball? Frankie would have paired with mild-mannered Tony Finau; not having to deal with Tiger’s glowering presence and the teeming masses palpably rooting against him might have freed-up Frankie to play his usual game. But this is what makes sports so thrilling — all that matters is the actual result, not the endless hypotheticals. Without a doubt. I love his low-key swagger and rock-solid all-around game. He’s going to be a consistent contender for a very long time. Jordan wins the PGA, Phil takes the U.S. Open, Rory prevails at Portrush. I didn’t go full-Stricker, but I definitely had a lump in my throat. I was standing right there, maybe ten feet away. It was an amazing scene, and that was without a doubt the loudest sustained cheer I’ve heard on a golf course. Unforgettable stuff. Nah, just cutting back. My announcement to that effect was interpreted by some as a result of Tiger-related trolling but that’s a minor consideration. I remember in a December #AskAlan one of y’all asked for my 2019 resolution and I said it was to tweet less. In fact, my kids recently got me hip to the ScreenTime app and it was shocking to have quantified exactly how many hours a day I’ve been wasting on Twitter. A lot of that time used to be spent reading books and magazines and watching documentaries and other quasi-intellectual pursuits. I enjoy all of the interaction on Twitter but it’s definitely making me dumber. The two folks I admire most in the golf media – Michael Bamberger and Jaime Diaz – are not on Twitter. Neither is the best magazine writer in the business, Wright Thompson. This can’t be a coincidence. Last week Bamby conveyed a story to me about Warren Buffett: a friend asked to see his calendar and was astonished to discover how few commitments he had. “I need time to think!” Buffett said. Twitter is increasingly taking up a lot of my thinking time. I had this moment of clarity at Augusta National, thanks to the phone-free policy. It was the most unplugged I have been…since last year’s Masters. 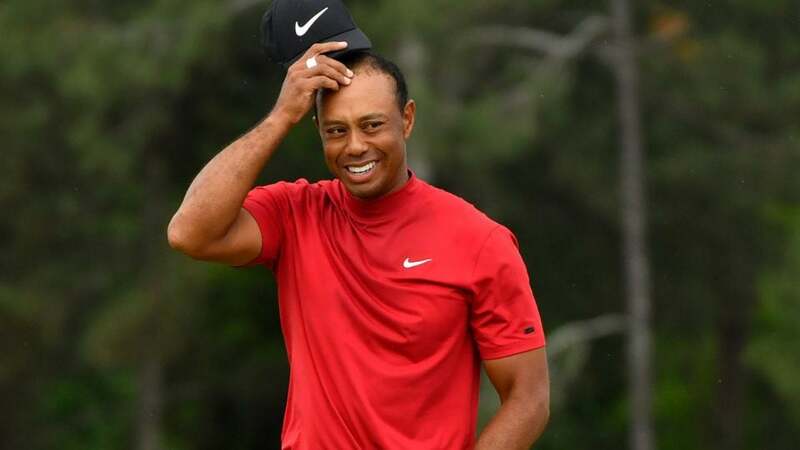 Then came the aftershocks of Tiger’s victory, when a significant chunk of the golf public apparently became outraged because in advance of the Masters I had offered a fact-based tweet expressing my surprise that Woods was the betting favorite. I enjoy spirited debate and cheeky responses but it gets old having strangers rain down profane/threatening abuse…over a golf opinion. I’m old enough to remember when Twitter was fun and breezy but folks on there seem increasingly angry and strident. It’s a drag. I have a snarky side, clearly, and have never taken Twitter that seriously, tossing off the occasional spiky tweet because I’m bored, or want to stimulate debate, or am work-shopping a column idea, or all of the above. But the ensuing kerfuffles can overshadow my stories for Golf.com and Golf Magazine, which is stuff I actually care about. There is still an awesome community of golf fans out there with whom I enjoy interacting, so I’ll still have a presence on Twitter. Just less so.